You’re searching for a new dentist, but you don’t want to find a separate one for the kids. You’re after a one-stop dental office for the whole family. What qualities should you look for in a family dentist in Medford? How do you know you’ve found the right one? Even if you see your dentist only twice a year, you want to make sure they are a good fit for everyone in your family. Here are 4 qualities that will help you pick the one that will suit you the best. When it comes to ensuring your oral health, nothing beats the knowledge, skills, and experience that your family dentist brings to the table—or in this case, the chair. Check out the dentist’s website and read about their qualifications. Do they specialize in anything? Do they participate in professional associations? Do they go beyond the required training they are supposed to do every year? Through their profile page, you can learn several things about the dentist without setting foot in their office. Make sure the family dentist you choose for your family has had plenty of experience for all your needs. Although video games and TVs in the waiting room are nice to occupy the kids, what really puts children at ease in a dental office are kind, patient, accommodating dentists and hygienists. Try to find a dentist who is experienced and comfortable with kids and who can help them as they and their dental needs change. 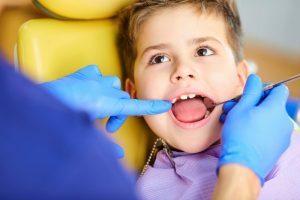 The right dentist or hygienist can make going to the dentist a fun learning experience that your child will want to continue into adulthood. Does your dentist pay attention to you during your appointment? Or do you feel like you’re just another number? It’s important to not only get to know your dentist but to have them get to know you. If your current dentist doesn’t dedicate time listening to you and your needs during your appointments, maybe it is time to find one who will. After all, you will see each other at least every six months. When the dentist provides this personal attention, they can better recognize patterns or see progression over time that may impact treatment. Asking a dentist to become your partner in your oral health involves trust. You trust the dentist to perform work competently. You trust the dentist to recommend treatment that is necessary. You trust the dentist to answer your questions honestly and fully. If you don’t have confidence in your dentist, you won’t get the care your mouth needs to stay healthy. In the end, choosing the right dentist can be a daunting task, but it is an important one that can affect your and your family’s oral health in the long term. Make going to the dentist and dental care a priority in your family. By searching for these qualities in a family dentist, you will make your appointments a more positive experience for everyone and lead to lifelong healthy oral habits. Dr. Anthony Giamberardino has been practicing dentistry since 1985. Opening his own family practice in 1993, he offers comprehensive dental care in preventive, restorative, and cosmetic dentistry for the whole family. Whether your child is going in for their first checkup or your aging parent needs dental implants, Dr. Giamberardino can help! To contact him, you can call (781) 396-3800 or click here.